Thomas LaToza is an Assistant Professor of Computer Science at George Mason University. His research focuses on human aspects of software development, spanning empirical studies and the design of novel tools for programming, software design, and collaboration. He has conducted numerous studies of software development work through a variety of methods including field observations, lab studies, interviews, surveys, and field deployments of tools. His study of software developer work habits has received over 350 citations. 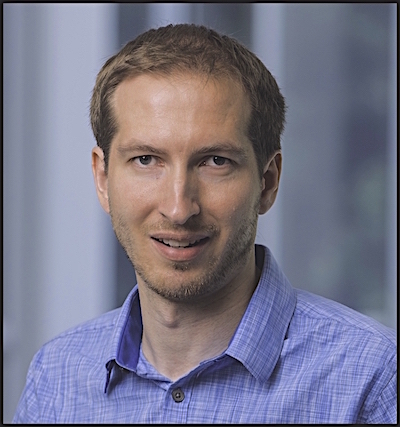 More recently, his work has focused on crowdsourcing software engineering, investigating novel techniques for organizing programming work through microtasks and models for incorporating recombination into software design processes. His work has been published in top software engineering journals such as the IEEE Transactions on Software Engineering and Empirical Software Engineering, top software engineering conferences such as the International Conference on Software Engineering, International Symposium on the Foundations of Software Engineering, and the International Conference on Automated Software Engineering, and top human computer interaction conferences such as CHI and UIST. His work on microtask programming has received press in places such as ACM TechNews and Techwire. LaToza received his B.S. degrees in psychology and computer science from the University of Illinois at UrbanaChampaign and his Ph.D. in software engineering from Carnegie Mellon University. LaToza has served as co-chair of the First and Second International Workshops on Crowdsourcing in Software Engineering, as well as twice serving as co-chair of the Workshop on the Evaluation of Programming Languages and Tools. He has served on various program committees, including the Symposium on Visual Languages and Human-Centric Computing, ICSE Visions of 2025 and Beyond, the International Symposium on End-User Development, and numerous workshops. He has served as a reviewer for top software engineering journals such as IEEE Software, TSE, TOSEM, ESE, and JSS.